Matt Pickart, director and co-founder of Clazz International Music Festival, holds a varied career as a violinist, violist, jazz musician, and teacher. He has the distinct honor and privilege of having been able to perform at both Jazz at Lincoln Center and Carnegie Music Hall’s Weill Recital Hall. Other career highlights include performances with Grammy nominated Quartet San Francisco as guest violist on their 2017 European tour, Barry Manilow on tour, Bernadette Peters, the Vogues, the Trans-Siberian Orchestra, the Interharmony International Music Festival Orchestra in Italy as featured soloist, the Beatles Love Album Tribute Tour, Rocktopia, Premier Swingtett at the B-flat in Berlin, Ritmo Flamenco in Toronto, and the Swingadje Ensemble as featured soloist on three German tours 2013-2015. His recordings have been broadcast on Milwaukee’s WMSE, Pittsburgh’s WQED, Lansing’s WKAR, and National Russian Radio. In 2018 he was named an honorary artist of the Global Music Partnership. As a soloist, he has appeared with orchestras in the USA, Italy, and the Netherlands. 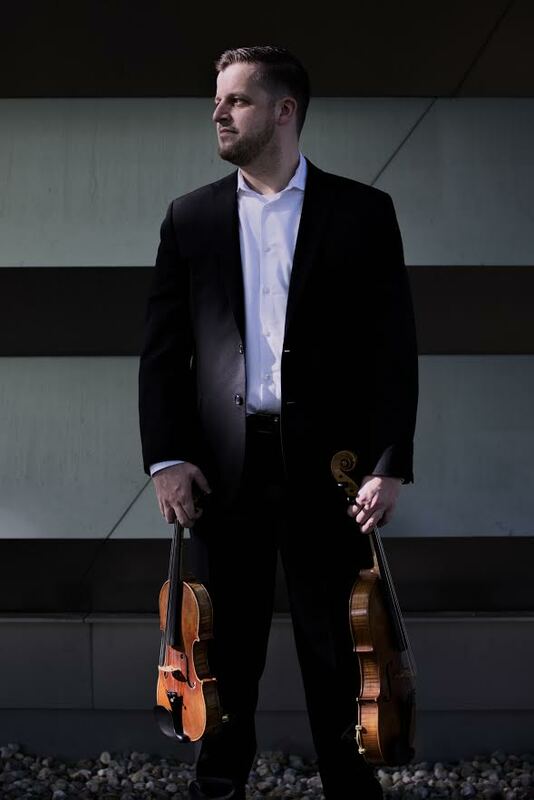 In 2018, he opened Beloit Janesville Symphony Orchestra’s 65th Season as guest soloist for the Tchaikovsky Violin Concerto; performed Dittersdorf’s Sinfonia Concertante for Double Bass and Viola with Saint Louis Symphony Orchestra’s principal bassist Erik Harris and the Webster University Orchestra; and performed alongside jazz violin wizard Jeremy Cohen, in the premiere of his piece Arcidosso Blues, at Clazz 2018. As an orchestral leader, Pickart has performed with many orchestras, including as concertmaster of Pittsburgh Philharmonic and principal viola of the International Chamber Soloists. In 2013, he performed as principal violist of the Shirley Givens Alumni Orchestra at Julliard’s Paul Hall. As a section player, he has played with premiere ensembles, including the Pittsburgh Opera Orchestra and the Alabama Symphony Orchestra. In addition to classical music, Pickart performs and records in multiple genres but is most at home with jazz. He was the violinist and vocalist of the Hot Club of Pittsburgh and a founding member of the Pittsburgh classical/jazz project, The Groove Aesthetic. He has also been critically acclaimed for his performances throughout Germany with the Swingadje Ensemble and the Premier Swingtett. In 2013, Mr. Pickart was a featured artist at Jazzstadt Stuttgart. He has also participated in several masterclasses and performances with some of the greatest jazz string players of our time. In 2016, Mr. Pickart created Clazz International Music Festival in Arcidosso, Italy, as an opportunity for classically trained musicians to learn how to improvise through the context of jazz. Clazz has evolved into a eighteen day summer educational program, integrating classical and jazz music, and incorporating both internationally recognized jazz and classical faculty including Grammy award winners, top crossover artists, soloists, and leading orchestral players. Also active in new music, Mr. Pickart has worked closely with leading composers such as David Stock and Zhou Tian. In the spring of 2017, he performed as viola soloist for Steven Mackey’s 2007 concerto Groundswell with the Michigan State University’s new music ensemble, Musique 21. Mr. Pickart is lucky to count some of the great luminaries of the music world, among his teachers, such as: Sidney Harth (legendary American concertmaster); Yuri Gandelsman (former principal violist of Israel Philharmonic and violist with the Fine Arts Quartet); and Rodney Whitaker (bassist of Jazz at Lincoln Center Orchestra.) Other former teachers include Walter Verdehr, Charles Stegeman, Tyrone Greive, Eugene Purdue, Alison Jewer, and Tom Moore on violin; and Marylène Gingras-Roy on viola. He has taken additional lessons with Noah Bendix-Balgley, Choong-Jin Chang, Charles Pikler, and Jacques Israelievitch among others; and has played in masterclasses for a wide variety of artists including Midori, Joan Tower, and Christian Howes. Mr. Pickart is Assistant Professor of Music at Webster University in Saint Louis, where he teaches violin, viola, improvisation, and music entrepreneurship. Prior to coming to Webster University, he served on the faculty of Beloit College, Michigan State University Community Music School, Duquesne University’s City Music Center, and University of Wisconsin-Madison’s Summer Music Clinic among numerous other programs. As a testament to Professor Pickart’s pedagogy, several of his former students, have entered the profession, teaching and playing.